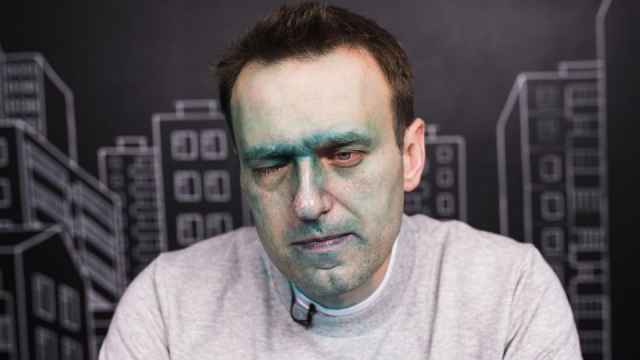 A volunteer working for opposition leader Alexei Navaly’s has been hospitalized after a late-night altercation with police at Navalny’s Moscow headquarters, the Novaya Gazeta newspaper has reported. Navalny’s staff said Alexander Turovsky was at the opposition leader’s headquarters in Moscow when masked policemen entered the building early Thursday morning. The volunteer said police violently detained him in the process of searching the premises. 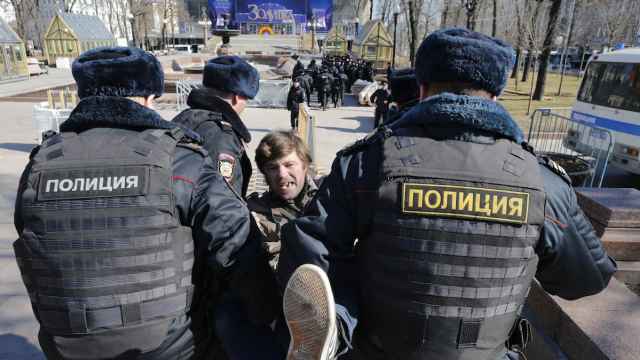 Turovsky was initially taken to nearby police station on charges of “disobedience,” but was transferred to a hospital after complaining he felt ill. He remained under police guard in the hospital, where he is suspected of having suffered a concussion. 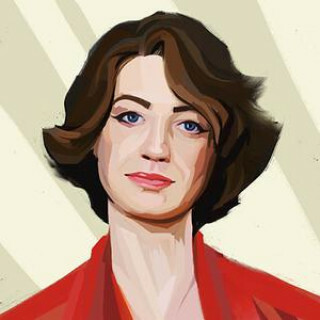 Police made several attempts to remove Turovsky from his hospital bed, Navalny’s assistants Nikolai Lyaskin and Natalia Chernikova wrote on Twitter. 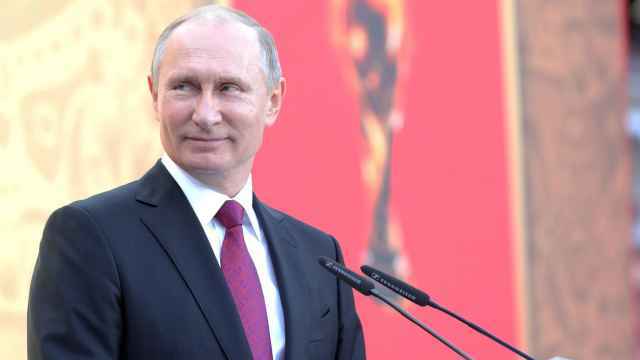 A police spokesperson later explained the search in Navalny’s Moscow headquarters was in response to alleged violations of the lease agreement, the Interfax news agency reported. Police reportedly confiscated political campaign materials during the search. 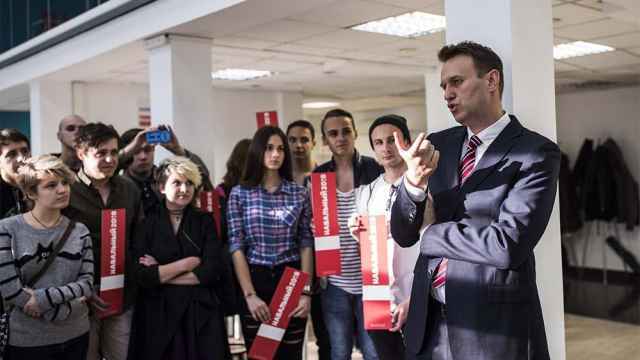 Navalny’s supporters are organizing a series of events for Sunday, when they will distribute around 5 million copies a newspaper produced by the opposition leader’s staff. 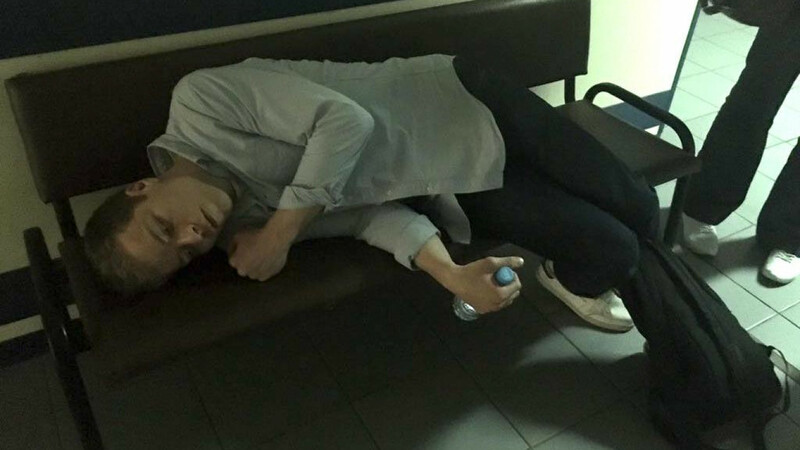 Local authorities have also searched Navalny’s offices in Novosibirsk, Oryol and Vologda since Wednesday. Police entered Navalny’s offices in Oryol and Vologda after reports they housed extremist propaganda materials. In Novosibirsk, searched the opposition leader’s offices in response to an alleged bomb threat. Police also detained the coordinator of the Perm headquarters on Thursday, the local branch wrote on the Vkontakte social network. Alexei Navalny is due to be released from police detention on Friday after serving a 25-day jail term for organizing anti-corruption demonstrations across Russia June 12. 12 offices were raided or vandalized in the past few days.